At The Orlow Firm, we have handled construction site and workplace accident cases involving dangerous scaffolding, cranes and ladders, falling objects and a broad range of other dangerous conditions resulting in neck, back and head injuries, paralysis and other serious and catastrophic injuries, as well as wrongful death. Were you injured in a construction accident in Queens? Contact a Queens construction accident attorney for a no-charge consultation by calling at (646) 647-3398. We can protect your rights regarding your employer and other parties while pursuing the compensation you deserve following construction site injuries, disability and medical expense. 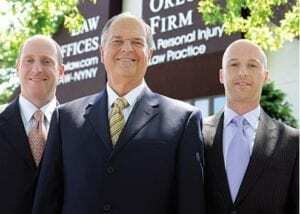 For a no-charge consultation with an experienced Queens construction accident attorney, contact our office. Construction accidents in Queens often leave workers dealing with serious and potentially life-changing injuries. They have medical appointments and treatments to deal with, families to support and worries about their financial future. In the midst of all this, workers must also find a personal injury attorney with the knowledge and experience to handle their specific injuries. This can be challenging, especially for workers dealing with multiple injuries.